Your child's symptoms or diagnosis are a beginning, not an endpoint. The current western medical model treats symptoms and views systems in the body as if they were isolated. It is critical that we move away from suppressing symptoms and begin to identify the underlying root causes of disease. ADD/ADHD can be due to food sensitivities, retained reflexes and Sensory Processing Disorder. Learn the differences among anaphylaxis, intolerances and sensitivities and what could be causing them. Gut dysbiosis and neurotransmitter imbalances may be at the root of your child's anxiety. 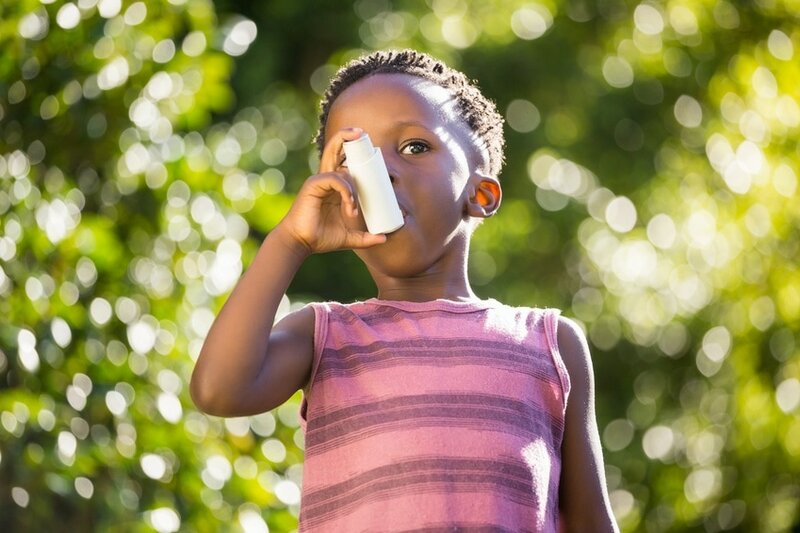 Changing your child's diet is the key to reducing symptoms of asthma. Changing the diet, reducing toxic load and implementing special therapies can help children with autism. Steroids aren't the only answer to autoimmune disorders. Learn how making dietary changes can help. Discover tips and home remedies to help your child breathe easier. An overuse of antibiotics and the Standard American Diet (SAD) can contribute to chronic infections. Constant crying in a baby is not to be dismissed, as it could be a sign of silent reflux or other other gastrointestinal disorder. Chronic constipation and diarrhea are one of the most common signs that a child has gut dysbiosis and/or immune dysregulation. Cradle cap may signify an underlying imbalance in the gastrointestinal system's microbiome. Delays in walking and crawling often precede diagnoses of autism, ADHD, LD and SPD. The only real way to control blood sugar is to establish proper leptin and insulin signaling through diet. Poor motor skills may be due to birth trauma, brain injury or environmental, structural or biochemical causes. Vision therapy, other specialized therapies and dietary changes can help your child overcome dyslexia. Common childhood infections of the ears, nose and throat are often related to nutritional deficiencies, and food and environmental allergies. Food sensitivities, neurotransmitter imbalances and sensory issues are often at the root of behavioral problems. The gastrointestinal health and environmental exposures of a child with failure to thrive must be considered. Gastrointestinal disorders can affect a child’s behaviors, mood, sensory, nervous, neurological and immunological systems. Extremely early reading is called hyperlexia and is a sign of inappropriate neurodevelopment, especially in the area of vision. Muscle tone disorders are influenced by toxic load and mitochondrial dysfunction. Discover therapies that can help your child improve muscle tone. KPU is a condition in which zinc and vitamin B6 are excreted in high amounts, leading to mood disorders and more. Learning disabilities can improve by addressing food sensitivities, neurotransmitter imbalances and sensory issues. Learn about symptoms, causes, testing and standard and alternative treatments of Lyme disease. Mitochondrial dysfunction is at the root of many disorders. Learn how to recognize it and how to get help for your child. Assume neurological issues if a child misses speech, language, motor or other developmental milestones. Both obesity and diabetes in children are on the rise in the United States. OCD is a symptom of a dysregulated immune system and potential pathogenic invaders. A defiant child is not a "bad" child. Instead, he or she may have a pathogenic infection that causes oppositional behavior. Learn how mercury, BPA and fluoride harm your child's health and why the immune system is an important part of your child's dental health. Chronic pain can be caused by a variety of factors, including inflammation, gut dysbiosis and food sensitivities. Chronic anxiety, OCD, ODD, irritability and tics may be due to pathogenic infection or environmental assault. Retained primitive reflexes are common in children with autism, ADD, ADHD, SPD and LD. Find out how stress-reduction techniques, dietary changes and certain therapies can lessen your child's incidences of seizures. Your child can recover from SPD by making dietary changes, detoxifying and implementing special therapies. Discover the root causes of your child's eczema and rashes. Acid reflux, EMFs, low blood sugar and/or adrenal imbalances may be preventing your child from getting a good night's sleep. When underlying biological issues are addressed, speech and language may improve gradually. If the brain is not in sync, then this imbalance will be reflected structurally in the body. Anxiety, depression, autism, ADHD, SPD and developmental delays can be related to thyroid issues. A sudden onset of tics such as throat clearing and hair pulling may be due to pathogenic infection or environmental assault. Toe walking may be related to gross motor delays and mitochondrial dysfunction. Symptoms of tongue tie can include delayed speech development, gagging on food and breastfeeding problems. Learn easy home remedies for your child's occasional tummy problems. UTIs are an indication of an underlying immune problem, especially if the infections are chronic.